Intermodal rail vs over the road trucks; which is best? There is no one freight shipping method that fits the needs of every business. Businesses with substantial shipping requirements need shipping methods that are dependable. All businesses should have a contingency plan if they favor one method over the other. Some businesses prefer intermodal rail shipping while others prefer over the road freight shipping. It is important for all business owners to consider not only cost but reliability and availability, as well. When making logistical shipping decisions, it is important to keep in mind the standards of affordability & dependability. Business owners need to get their goods to market as cheap as possible to remain profitable. Making sure that vendors receive their product in a timely fashion is vital to maintaining a good business reputation. A business that is cognizant of inventory levels may reap better results integrating intermodal trucking into their logistics needs. This affects not only the services chosen to contract or hire, but the company within that service field. The dependability of shipping is equally crucial. Making sure that everything is where it needs to be, when it needs to be, and in good condition when it arrives is vital to maintain a good business reputation. One of the first things that comes to mind when you are the person who is in charge of choosing a mode of shipping is how much is it going to cost? The option to ship products, materials, or equipment via intermodal rail transportation cuts cost without cutting corners. Shipping freight in transferable containers rather than exclusive or dedicated over the road trucks leads to a significant decrease in the cost of shipping. By significantly lessening the amount of money that is being paid for the cost of shipping your freight, it will lower your overhead and allow you to be more competitive in your market. Another financial benefit to choosing intermodal rail shipping is that it reduces the fuel surcharge that you will be required to pay. With gas prices fluctuating between expensive and ridiculous, over the road trucking charges can be astronomical. This means your payments fluctuate as the price you pay per mile changes. Integrating rail into the cross country shipping process makes the amount of money you are paying for the gas of shipping your freight far, far less. Many businesses have also began to take into account their environmental impact. Not only is this a moral issue for many executives, it is also a question of financial sustainability. It is often the assumption that decreasing the impact on the environment means increasing the impact on your wallet. Intermodal rail, however, costs less and is far more environmentally friendly. The amount pollution emitted from using solely over the road trucking is a little bit over 40.2% more than when choosing to include railways into the shipping process. By making the simple adjustment to the methods used for shipping it decreases the cost of shipping while making shipping less environmentally harmful. It is important that every business and corporation begin to think about the long term impacts of their business practices. This includes pollution caused by transportation and delivery services. It can be incredibly difficult to make changes to your shipping routine. It is often easier to stay with what is familiar, even if something seems to be more beneficial than what you already have. So I encourage you to begin with simply a consideration. It may be that you believe your freight would not travel well via intermodal shipping. If you are shipping something extremely fragile, it may be in your best interest to deal predominately over the road shipping. However, for those who simply use trucks because that is what has always been done, it might be time to reconsider the outstanding benefits of the intermodal method. Start by keeping this method in mind when your usual method of shipping is unavailable or becomes unreliable. Moving freight across the country can be a challenge that is an expensive and stressful one to deal with. Combining rail transportation with trucking allows your wallet and your mind to rest easy. Over the road trucks handle more than 50% of all goods moving across the country at any given time. They are indispensable to business and play an incredibly important part in getting goods to thousands of customers daily. A savvy shipper knows how to work intermodal rail into their shipping matrix to allow them flexibility in lanes that are highly competitive in transit times meanwhile compromising very little in comparison to over the road trucking. 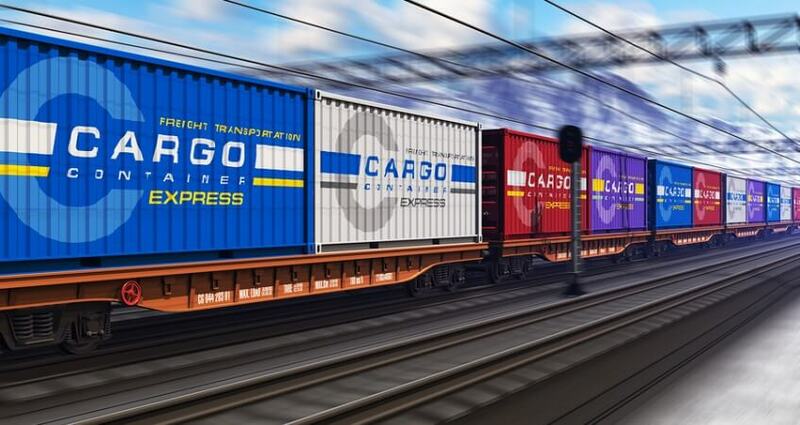 Another aspect of learning to incorporate rail into the shipping matrix is capacity concerns. It is no secret that the trucking industry is under pressure of capacity issues and severely understaffed regarding professional drivers. One must do their homework regarding what method is best suited for your business but not using rail because of the fear of the unknown can be a big mistake when trying to stay competitive. With these tips you should have a safe and pleasant experience using a freight service company such as Freight-Specialist. We recommend that you consult with us prior to having your shipment scheduled for pickup if you have any doubts or concerns.